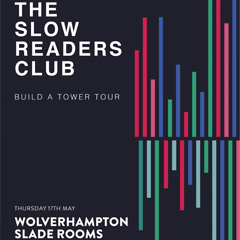 The Slow Readers Club are a Manchester based four piece who specialise in indie electro doom pop. 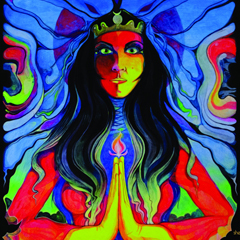 The band are doing a 12 date tour to promote their new album 'Build A Tower' which is released on 4 May. We're delighted to announce support for The Slow Readers Club next month are highly-rated OCTOBER DRIFT. The band have gained a reputation for delivering blistering, high-energy live shows. Indeed, their first tour sold out before even releasing their first single, such is the buzz around their live performances. With shows at BBC6 Music Festival, Dot to Dot, Tramlines and Camden Rocks already under their belts alongside a cult fan base spreading the word, and a focus too few peers in their position possess, the immediate future is very bright (and very loud).